The Knapheide Manufacturing Company - After 150 years of operation, The Knapheide Manufacturing Company has evolved into the nation's premier producer of steel service truck bodies and platform/stake style truck bodies.Our company has seen a lot of changes over the years, but one thing that will never change is our focus of meeting customer expectations. 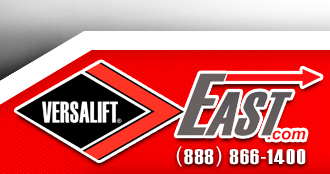 Versalift East, Inc is a Knapheide OEM Distributor for aerial lift bodies only. Every Knapheide crane body features our unique torq-isolator crane support system. The reinforced crane box transfers lift forces into the full-length torsion-box subframe and outriggers...not the side compartments. View the 6 Year Warranty (pdf).